Located in New London, New Hampshire, Garden Life was officially launched in 2011. We are a fine gardening company specializing in landscape and garden rejuvenation projects, garden design and seasonal care. We take pride in our customer service, level of professionalism and knowledge and respect of plants and our environment. We use innovative solutions to answer New England's climate challenges and diverse site conditions while creating beautiful outdoor spaces. We provide a range of services to accommodate our clients’ needs from a short consultation to a full-fledged design, installation, and care service. We are passionate about establishing long-lasting relationships to ensure the health, longevity and enjoyment of your landscape and gardens. Garden Life’s team of experienced designers and fine gardening crews are guided by the principle “work smarter, not harder.” With proper design, implementation and followup care, maintenance can be reduced to fewer visits a year after just several growing seasons. These gardens are beyond sustainable—they are ecologically regenerative. These gardens, as living systems, create their own soil and mulch, provide food and shelter for wildlife, heal or fight plant diseases and require no additional watering or irrigation once established. Additionally, we aim to educate our clients in these practices so that they may participate in the growth of their gardens. Born out of a commitment to think globally and act locally, Garden Life has joined the non-profit 1% For the Planet, pledging to donate one percent of our annual sales to support organizations focused on the environment. With our wide range of skills and experiences, Garden Life is committed to helping you achieve both large and small landscape and garden goals whether through consultation, design, enhancement, care or garden coaching. Weeks Lawn Care & Stonework is focused on providing high-quality service and customer satisfaction - we will do everything we can to meet your expectations. Lawn Care and Fertilization Services in Massachusetts. Rutland Turf Care is the lawn care division of Rutland Nurseries, a premier landscape design and construction firm for over 60 years in New England. We take the guesswork out of establishing and maintaining a healthy, green lawn that stays beautiful all season long. With the harsh winters and extreme fluctuations in temperature in Massachusetts, it is very important to choose a turf management specialist that understands the climate and soil in MA. Our lawn care programs have been developed with over 60 years of experience in the landscaping business right here in New England. Our team of highly trained specialists understands the nutritional needs of Massachusetts turf , and uses the highest quality lawn fertilizer and turf products available only to professionals. Rutland Turf Care also offers Mosquito & Tick Control Programs to keep your family safe and enjoying the outdoors all summer long! NEW- we also now offer Deer Control Programs to protect your landscape design investment from hungry deer during the harsh winter months. Lawn Fertilizer Service Lawn fertilization companies in Massachusetts have a great challenge with our harsh winters and extreme summer temperatures. Timing is everything when it comes to applying the right types of fertilizer and other lawn care products at the right time. The key to a healthy, green lawn is the RIGHT amount of fertilizer and weed control at the RIGHT time of year and at the RIGHT application rate. Besides proper fertilization, our turf management specialists also offer treatment for these common lawn issues: crabgrass management, grub control, dandelion control, insect control, aeration services, overseeing, fungicide applications, herbicide applications, lime applications Lawn installations and restorations are also available. Dudley's Tree and Landscape is open year round. 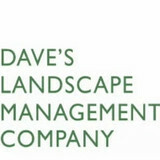 We are contractors for all landscaping construction and planning needs. This includes crane work for commercial uses other than landscape. 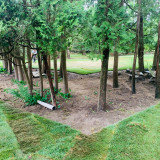 40+ years horticulture expertise in planting, transplanting, fertilizing, hydro seeding, new lawns, irrigation, land clearing, stump grinding and tree removal. The seasonal Garden center is open daily 9-5 for farm grown and finished retail flower and vegetable plants early Spring to mid Summer and for early Fall. In addition to the maintenance side of gardening, Weare, NH gardeners can help you with garden design and choosing specific plants and grass types for your climate and area. 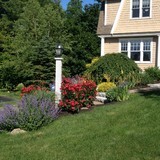 Find a Weare, NH gardener on Houzz. 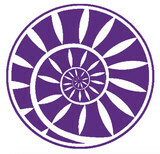 Narrow your search in the Professionals section of the website to Weare, NH gardeners. You can also look through Weare, NH photos to find examples of yards that you like, then contact the New Hampshire contractor who worked on them.